Mark Melancon’s Pirates are in a fight for the National League Central title with St. Louis. We will soon experience our second one-game wild-card playoff. Ah, the drama and excitement. Ah, the ever-growing resentment toward it. Players and management alike are beginning to hate this concept of fighting like crazy to get there, only to have the season end in a heartbeat. 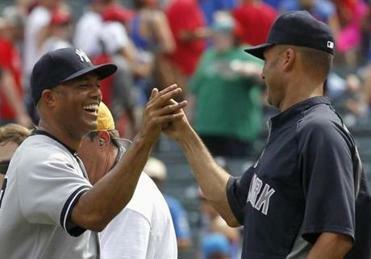 Whenever they are done — Rivera is retiring after this season while Jeter and Pettitte remain undecided — they will leave a legacy among the best of all time to play for the Yankees. That is the prevailing thought among players. You go 15 rounds, and then the fight is decided by one punch. Yet, there’s excitement. The wild-card races will likely be decided on the final weekend of the regular season. The schedule makers got this part right — having division opponents play each other when it matters most, in late September. ■ But is there a downside to a second wild-card team? Are we promoting mediocre teams getting into the playoffs? Do the Yankees, Indians, Royals, and Orioles really deserve to be in the playoffs? Just look at the past two weeks, the only reason some of the American League teams are in it is because the Rays went into a 4-13 slump. They kept everyone in the race by being inept. The Orioles and Rangers posted losing records and were still in it because the Rays couldn’t solidify the spot. Maybe it’s exciting to watch so many teams bunched up, but for the most part it’s not because they’re failing much more than they’re succeeding. ■ The likely playoffs teams that appear to be getting the least respect in either league are the Braves and Athletics. We went to the Red Sox’ David Ross, who was with the Braves the last four seasons, and Gomes, who was with the A’s in 2012, to figure out why. “If that’s true, I know that they think they’re a really good team from talking to some of the guys over there that are still friends of mine,” said Ross. “I mean, they have had a season very similar to ours and they wrapped up that division a long time ago. They have good pitching, and even though they lost a couple of their big guys [Jonny Venters and Eric O’Flaherty], they were solid. Having been over there, there’s a lot of confidence on that team. They need to get a couple of guys back. The A’s can certainly be perceived as a team that flies under the radar, for a few reasons. You always question how much pressure there is there to win with a fan base that doesn’t show up for games at perhaps the worst venue in baseball. The A’s are certainly not the Giants in terms of fan support in that market. They have also been embroiled, it seems forever, in a quest to get a new stadium in San Jose, with many legal roadblocks. We seem to spend more time discussing the Rangers’ quest for a wild-card spot, or how bad the Angels have been, than on how good the A’s are. They hit home runs, score runs in bunches, and pitch sneaky good. They have a strong closer (Grant Balfour) and players who seem to have a feel for the moment. Former Red Sox Brandon Moss, Coco Crisp, Jed Lowrie, and Josh Reddick have hit 27, 19, 12, and 11 homers, respectively. Reddick, who has been beset with injuries and a season-long slump, has begun to resemble last season’s version (32 homers). 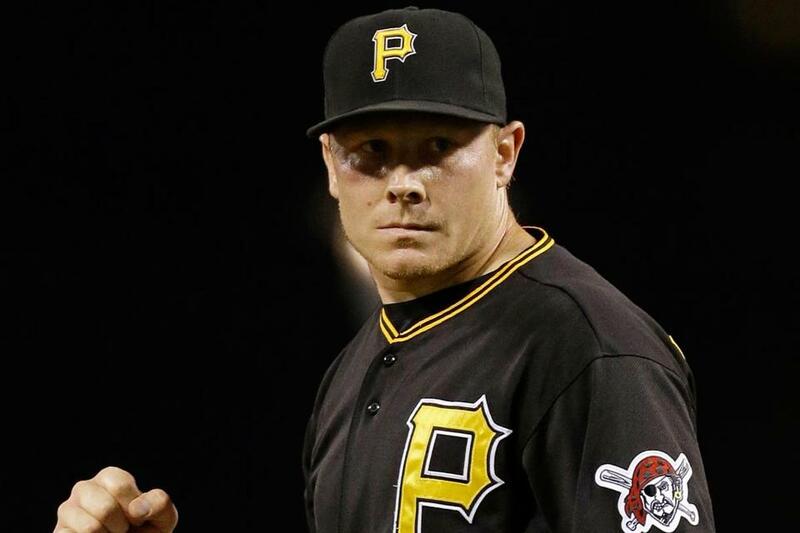 Mark Melancon will look back on his season with the Pirates with fondness. It got him back on the map as a reliever, and he became an integral part of the most-celebrated Pirates team in two decades. That’s how long the Pirates went without a winning season. Heading into Saturday, Melancon was 2-1 with a 1.10 ERA, 0.903 WHIP, and 14 saves, taking over as closer in Jason Grilli’s absence. Whether setting up or closing, Melancon, who was 0-2 with a 6.20 ERA in 41 games for the Red Sox in 2012, has been virtually unhittable, with 64 strikeouts and eight walks in 65⅓ innings. While Mariano Rivera’s teammate in New York, Melancon learned a lot about being a reliever, specifically throwing a cutter. Melancon said he still keeps in touch with some of his former Sox teammates and would love to see a Boston-Pittsburgh World Series. 1. It was fun listening to Pedro Martinez and Derek Lowe talking about their experiences as Red Sox teammates. Martinez is now a special assistant to Sox general manager Ben Cherington, and will be an in-studio analyst during the playoffs on TBS. Martinez and Lowe shared the same personal trainer, Chris Correnti, who now works for the Orioles. “Chris extended my career by five years,” said Lowe, who worked alongside Don Orsillo on the NESN telecasts last week in Tampa Bay. “I agree,” said Martinez. 2. Wade Boggs had a heart scare recently, but the issue was taken care of. 4. Former Red Sox pitcher John Trautwein and Yankees manager Joe Girardi were batterymates at Northwestern. Trautwein now runs the Will To Live Foundation in Atlanta, a teen suicide awareness program he founded after his 15-year-old son committed suicide. 5. OK, which returning players among Jason Heyward, Jacoby Ellsbury, and Matt Kemp, coming off injuries, and Nelson Cruz and Jhonny Peralta, coming off PED suspensions, will have the greatest impact? 6. And who among Chris Carpenter, Roy Halladay, Tim Hudson, and Johan Santana will have anything left in the tank to offer a team next season? All four are coming off major injuries and all four are free agents. 7. Don’t believe the Red Sox will pick up the $6 million option on Matt Thornton’s contract. 8. The Red Sox are going to have some serious time on their hands once the regular season ends since the Division Series won’t begin until four days later. Good or bad? 9. While Max Scherzer is likely to win the AL Cy Young Award, don’t forget that Anibal Sanchez leads the league with a 2.50 ERA. 1. Ian Kinsler, 2B, Rangers — There are still no signs that the Rangers will trade Elvis Andrus or Jurickson Profar this offseason, but dealing Kinsler could be a legitimate option, with Andrus or Profar playing second base next season. One issue is Kinsler’s contract. The 31-year-old has four years remaining at $57 million with an option for 2018. He hasn’t had one of his best seasons either (.272/11/62). 2. Nelson Cruz, RF, Rangers — Despite the 50-game PED suspension, it wouldn’t be shocking to see the soon-to-be free agent re-sign with Texas. Cruz is not only popular in the clubhouse, he has been the missing cog in the Rangers’ recent slump. Cruz, along with Adrian Beltre, is a top righthanded power source for the Rangers, who even with Alex Rios would be in the market for a DH/outfielder this offseason. It could very well be Cruz. 3. Robinson Cano, 2B, Yankees — One theory was interesting: Would the Mets pull a fast one and suddenly be interested in signing Cano, which would keep him in New York, his desired long-term location? Team president Randy Levine is already saying that while the Yankees want Cano to return, he’s not going to be an “all-out” signing. Most industry sources believe the Dodgers won’t be interested, but keep your eyes on the Angels and Tigers. 4. Alfredo Aceves, RHP, Red Sox — His antics wore thin in Boston, and he’s now home in Mexico, likely not to wear a Sox uniform again. “He had the chance to make himself some money and be an effective pitcher in the majors, but he’s squandered that because of his behavior,” said one American League GM. Some other team will likely take the chance on Aceves, who is very talented, but “it’s always going to be buyer beware. He just doesn’t get it.” Aceves, who made three significant spot starts for the Red Sox this season, was banished to Pawtucket. He returned to Boston and then said he had an oblique injury. He was eventually sent to Fort Myers, where he stayed until recently. 5. Jhonny Peralta, SS, Tigers — Peralta is “likely going to be someone’s third baseman” next season, according to a Tigers player. Peralta may be activated by the Tigers for the playoff roster after all, because of nagging injuries to Miguel Cabrera and Jose Iglesias, who has been suffering from shin splints. Iglesias, according to one Red Sox coach, has had issues with them all season. They would occasionally flare up and he’d have to ice them, but he’d always played through it. 7. Cal Ripken, former SS, Orioles — Could Ripken emerge as a candidate to replace Davey Johnson in Washington? Obviously, Ripken has major ties to the regional competition in Baltimore, but he has made his managerial aspirations known. Buck Showalter doesn’t appear to be going anywhere in Baltimore, where he is on solid footing. Ripken would be able to stay in the Baltimore/Washington area. Interesting banter. 8. Wandy Rodriguez, LHP, Pirates — While the Red Sox get Clay Buchholz ready for the playoffs, the Pirates were hoping to do likewise with Rodriguez, who like Buchholz missed more than three months (out since June 6 with forearm tightness). The problem was getting Rodriguez enough minor league starts. He had a three-inning stint Sept. 6 with Triple A Indianapolis, but the Pirates were unable to get Rodriguez another start because all of their minor league teams were eliminated from postseason play, and shut him down for the season on Saturday because of pain in his pitching arm. Rodriguez was 6-4 with a 3.59 ERA in 12 starts, and began the season as the Pirates’ No. 2 starter behind A.J. Burnett. 9. Carlos Beltran, RF, Cardinals — Here’s a prediction: If Beltran does not re-sign with the Cardinals, he would be the ideal DH/occasional outfielder for the Orioles. Certainly, owner Peter Angelos would have to open up the purse strings a tad for a player who would be devastating at Camden Yards, wouldn’t he? From the Bill Chuck files — “Matt Wieters is hitting an MLB-best .316 (12 for 38) on 0-2 counts, but David Ortiz is hitting .083 (3 for 36).” Also, “Braves center fielders are hitting .208 this season, the worst BA in the majors.” . . . Happy birthday Matt Thornton (37).